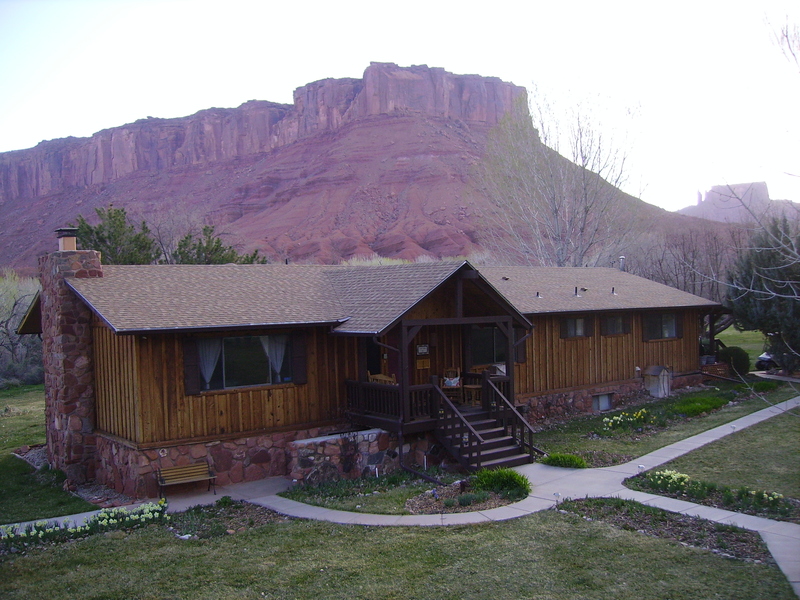 On day two of our Oregon to Texas travels, we stayed at the Castle View Inn, a bed and breakfast located off the beaten path, a short drive to Arches National Park. We’re giving the inn a five star rating on Tripadvisor.com for its awe-inspiring vistas, charm, comfortable lodging, excellent breakfast, and the hospitality and friendship shown by hosts Jeannette and Jason. I had never heard of Moab until our son Ryan discovered it on his long move to Texas where he’s employed as a lineman. Apparently, I was a slow learner. 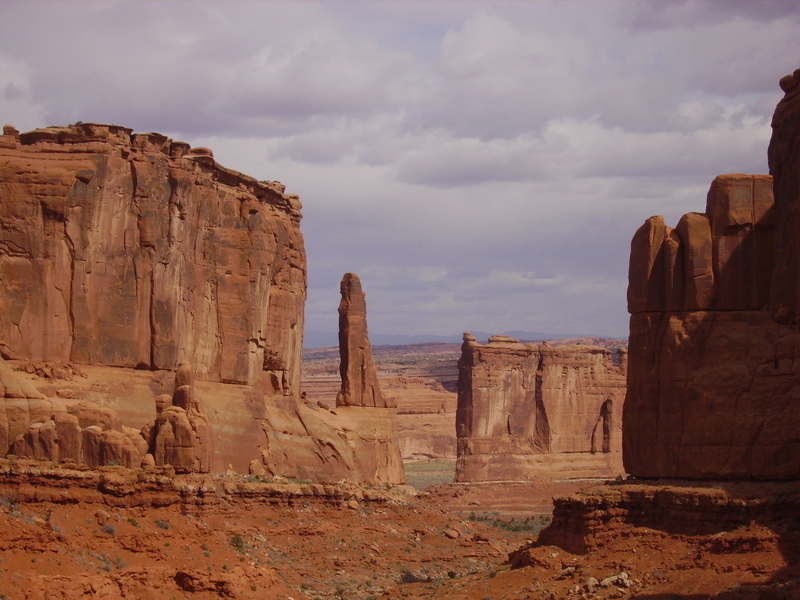 This is the end of the off season for tourism in the area and already the town of Moab, which is the gateway into Arches National Park, was swimming with tourists. 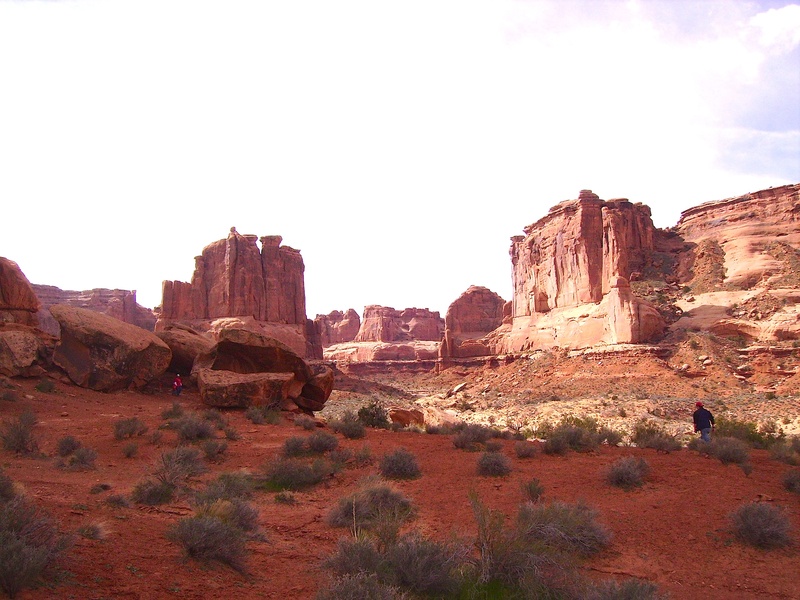 On day three of our car trip, we left our comfortable lodging for Arches National park. 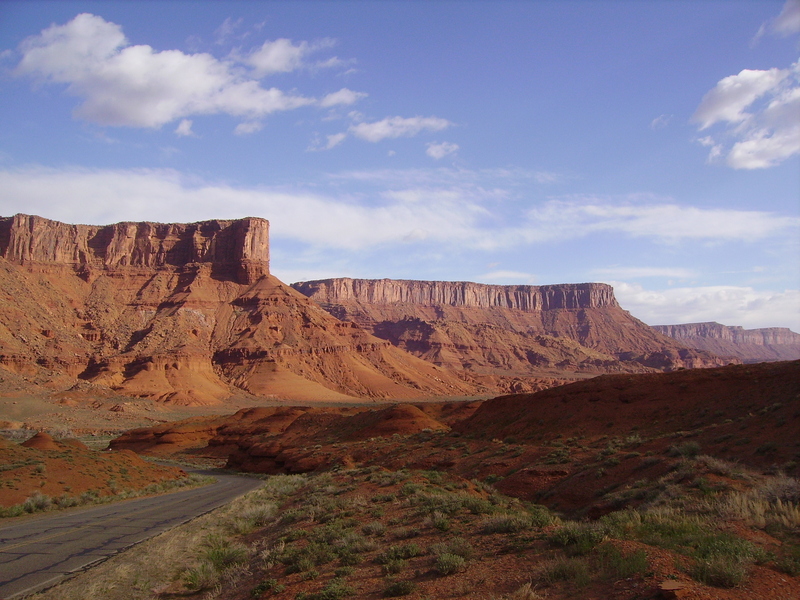 Breathtaking geographical features abound throughout the area. There are three ways to enter the park, bicycle (if you like peddling up steep grades), motorcycle (if you like eating dust), or by car (no strenuous exercise or dust eating involved). We took the scenic drive, stopping often for photo shots and for short hikes in God’s natural beauty. Vern and I would like to share the beauty of the surrounding geography with our grown children and grandchild and hope to rendezvous there soon. A stay at the Castle View Inn is definitely on our to do list. But the next time, we need to stay longer than one night to fully enjoy God’s beautiful Moab. 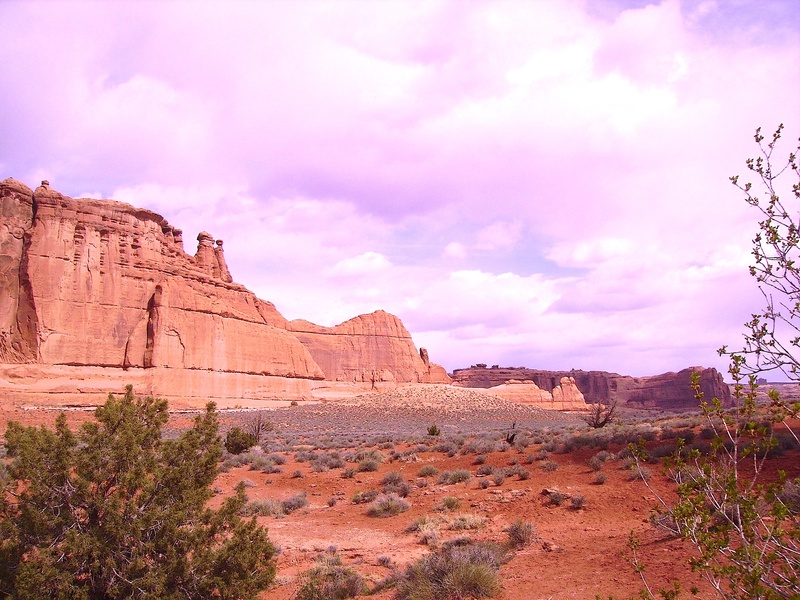 This entry was posted in Uncategorized and tagged America's Parks, Arches National Park, Author, Best Places to Visit in America, car trip, Castle View Inn, memoir, Moab Utah, National parks, Pamela Koefoed, the southwest, Travel blog, Writer. Bookmark the permalink.